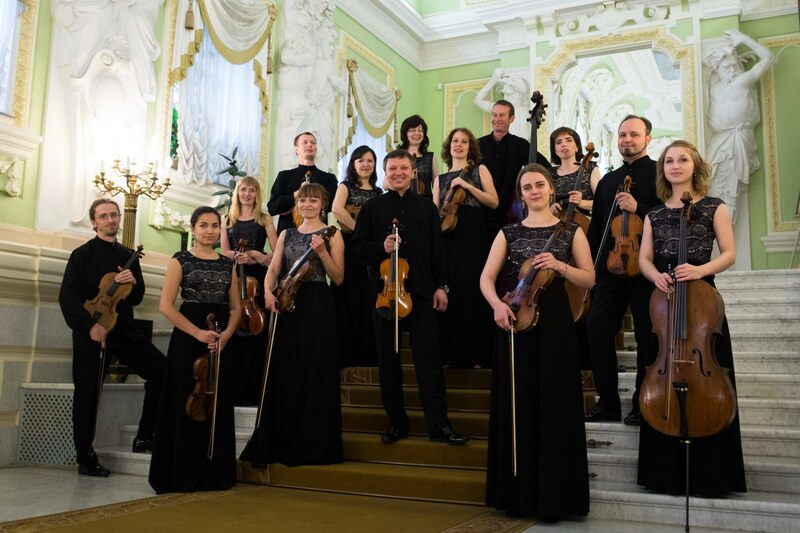 "Soloists of Nizhny Novgorod" is one of the leading chamber orchestras of modern Russia. Founded in 1990 and based on Chamber orchestra of Glinka Niznhy Novgorod State Conservatory that was founded in 1981, the collective existed during many years thanks to the support of the city progressive intellectuals and the enthusiasm of its participants. The status of municipal was granted to the orchestra by the city in 1994. 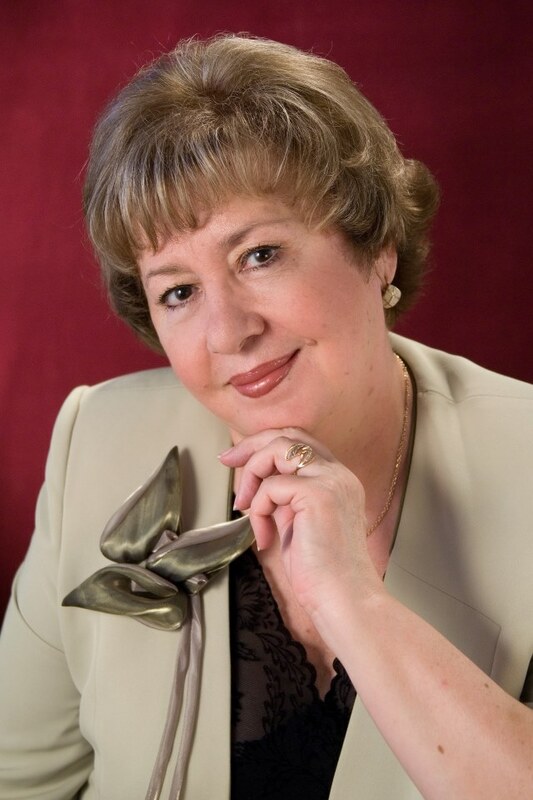 The professional career of the collective connected to the name of Honoured Artist of Russia, professor Sofiya Propischan who had been leading the orchestra since 1990 to 2003 (during this period it had another title - Ensemble of soloists "Sofiya"). Under her leadership, the orchestra became popular in Nizhny Novgorod and is famous far beyond the Volga capital. Since the end of 1990-s, the orchestra tours actively and performs with its own projects, regularly participates in the largest festivals and forums in Nizhny Novgorod. Since 2003 its leader is the violinist of the orchestra Vladimir Plaksin, who was a student of Semyon Yaroshevich, the founder of chamber orchestra of the conservatory. 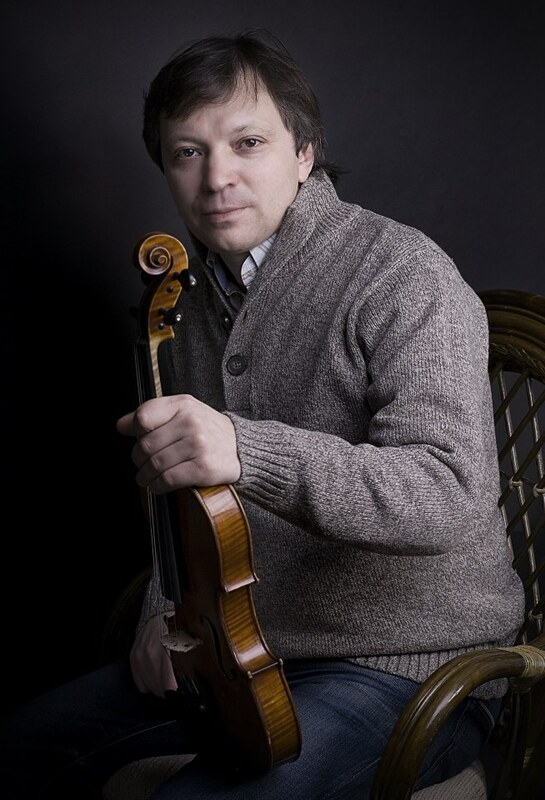 Dmitry Stoyanov was invited as the concertmaster. The orchestra became known as "Soloists of Nizhny Novgorod". Close cooperation with the legendary musician Igor Zhukov determined the course of the newest history of the orchestra. Together, the musicians played dozens of programs, performed at international festivals in Nizhny Novgorod, Yaroslavl and Moscow. An important place in the work of "Soloists of Nizhny Novgorod" for ten years was occupied by work with Christoph Mayer (Germany), embodied in a series of projects "Historical Performing Practices". Today the orchestra is actively interested in contemporary music, annually performing Russian and international premieres, including pieces written specifically for "Soloists of Nizhny Novgorod". Last important tendencies of "Soloists" are focused on long-term cooperation with Daniil Grishin, who since 2015 has been performing with the orchestra not only as a soloist but also as the main guest conductor. Each joint concert (including outside of Nizhny Novgorod) is a cultural sensation and a new evolutionary stage. Also, the orchestra successfully collaborated with another famous Nizhny Novgorod, universal musician and popular conductor of the younger generation - Maxim Yemelyanychev. In September 2017 the French record company Aparté recorded the first joint disc of musicians (the tenth in the orchestra’s discography). Art director of Municipal chamber orchestra "Soloists of Nizhny Novgorod". Vladimir was born in Gorky (Nizhny Novgorod). He started his musical education in Children’s music school #8 in the violin class of V. Savinov, then he continued his education at Gorky musical college (class of Y. Lakeyev). In 1993 he graduated from Glinka Nizhny Novgorod State Conservatory (class of professor S. Yaroshevich, Y. Glukhovsky, then the class of professor S. Propischan). He worked in parallel at Academic Symphonic Orchestra of Nizhny Novgorod Philharmony. He is a member of the chamber orchestra since 1994. Since 2003 he is the art director of the collective. The collective is a laureate and Grand-Prix winner of International competition of choral music (Poland, 1993), V International competition “Yalta-Victoriya-2005” (Ukraine, Yalta, 2005), XXI International Festival-Competition CHORUS INSIDE RUSSIA SARATOV (Russia, Saratov, 2016), a laureate of II International competition of choirs “Singing World” (2006), participant of more than 40 international festivals in France, Germany, Poland, Ukraine and Russia (Moscow, Saint-Petersburg, Nizhny Novgorod, Tambov, Saratov). The collective is a permanent participant of international festivals of orthodox music and “Moscow fall” in Moscow, Dyagilev festivals in Perm (2013, 2014), International music festival “World. Era. Names” (2014, 2015) and Interregional choral festival “Ascension” (2015) in Ulyanovsk, Volga choral assemblies in Volgograd (2014), "Young Voices-2016" (Nizhny Novgorod, 2016), Neygauz festival and Sobinov festivals in Saratov. A group of soloists of the collective, headed by art director L. Litsova, took part in the jubilee gala concert of choral music dedicated to the 70th birthday of G. Dmitriyak and All-Russian festival “Lyubov sviataya” (“Saint Love”), dedicated to the 90th anniversary of A. Yurlov’s birth (Moscow, 2017). The following collectives successfully work as part of Saratov provincial theatre of choral music: a laureate of international competitions Saratov provincial theatre of choral music (art director and main conductor is L. Litsova, choirmasters are A. Balashov, E. Melnikova, E. Absalutinova), male choir "Victoria" (art director and main conductor is L. Litsova, choirmaster is A. Balashov) - Grand Prix winner of All-Russian Men's Choirs Competition “Poyuscheye muzhskoye bratstvo” (“Singing Men's Brotherhood”, Kaluga, 2000), International Festival-Competition “Yalta-Victoria-2005” (Ukraine, Crimea, 2005), a laureate of VI International choirs competition “Poyuschiy mir” ("Singing World", 2010); Concert children's choir (art director is A. Nikolaeva, choirmaster is Y. Smoktiy) - Grand Prix winner of All-Russian competition “Poyuscheye detstvo” (“Singing Childhood”, Moscow, 2000), XIV international festival CHORUS INSIDE "CHRISTMAS" (Hungary, 2014) , a laureate of IV International Festival "Chorus Inside International" (Italy, 2012), XXI International Festival-Competition CHORUS INSIDE RUSSIA SARATOV (Saratov, 2016). Founder, art director and main conductor of Saratov provincial theatre of choral music. Professor, Honoured Art Worker of the Russian Federation, Head of Academic Choir Conducting department and art director of Academic Choir of Saratov State Conservatory. Laureate and Grand Prix winner of international competitions of choral music. Ludmila is a jury member of many international competitions, an author of articles on choral education and performances problems. She is the initiator and the art director of Open provincial academic choirs’ festivals-competitions “Golden lights of Saratov”, creative laboratories and workshops “Singing choirmaster”, “Conducting choirmaster”, Interregional competition of conductors and choirmasters “Choral provinces”, and choral workshops. She is one of the conductors of All-Russian master-class “National youth choir” held in Tchaikovsky Moscow State Conservatory. Municipal Chamber Choir "Nizhny Novgorod"
Municipal Chamber Choir "Nizhny Novgorod" was founded in 1973 on the initiative of Lev Sivukhin, People's Artist of Russia, conductor, composer, Honorary Citizen of Nizhny Novgorod, who conducted the collective until 2001. Currently, the artistic director is his disciple and follower - Honored Artist of Russia Boris Mokeev. Since 2012, the main conductor of the choir is a laureate of All-Russian competitions Ivan Stolnikov. 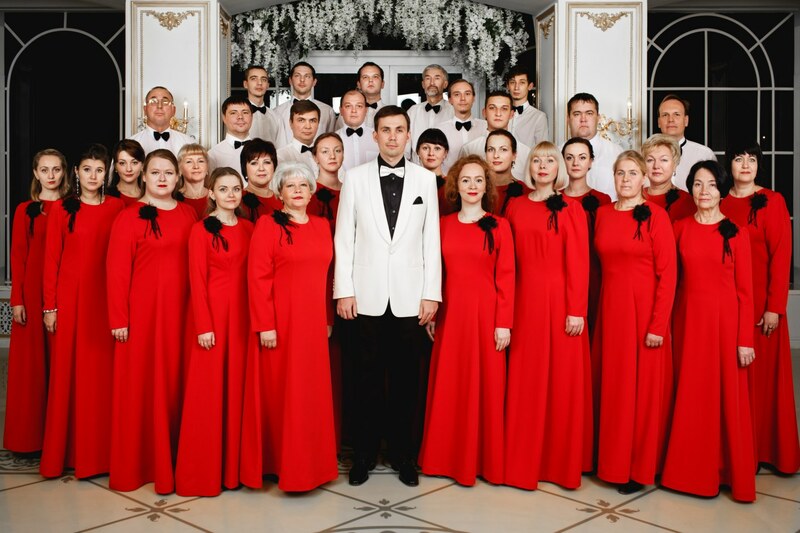 Under the leadership of Ivan Stolnikov the chamber choir “Nizhny Novgorod” participated in such large-scale creative projects as the performance of "Chornobyl Liturgy" by Archbishop Jonathan (Yeletsky), Creative evenings of St. Petersburg composers Sergey Ekimov, Sergei Pleshak, People's Artist of Russia Yakov Dubravin, the performance of Requiem by S. Slonimsky, World premiere - the performance of G. Sviridov's vocal poem "Otchalivshaya Rus" arranged by D. Batin, “Vsenoschnoye bdeniye” (“All-Night Vigil”) by S. Rakhmaninov for the divine service and many others. The collective represents regularly a musical program for the popularization and propagation of the creativity of contemporary choral composers, including Nizhny Novgorod ones, such as B. Getselev, S. Strazov, S. Smirnov, E. Fertelmeister, etc. Contemporary composers devote their works to the chamber choir "Nizhny Novgorod" (S. Ekimov "Triptych for the poems of V. Nabokov", Vitaly Khodosh “Ya o tebe pishu” (“I write about you”, Four sonnets by W. Shakespeare in translation by S. Marshak), S. Terkhanov cantata "Minin", S. Terkhanov "Seven Choirs in verses by B. Okudzhava"). 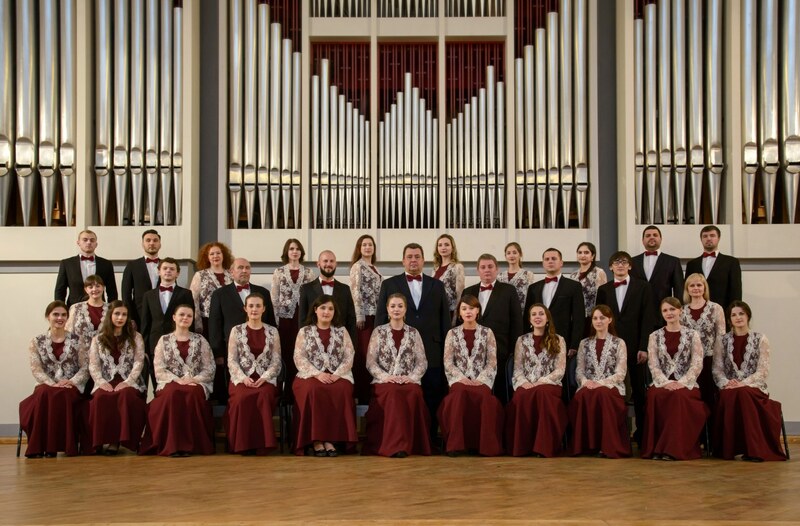 Nowadays, the creative activity of the chamber choir "Nizhny Novgorod" includes concerts in various venues of Nizhny Novgorod and the region, tours around Russia (St. Petersburg, Yoshkar-Ola, Cheboksary, Saransk, Volgograd, Penza), as well as participation in city-wide cultural events, such as "Christmas Choir Cathedral", "Easter Choir Cathedral", "Day of Slavonic Writing", "Day of People's Unity" and many others. The choir is an honorary guest of various festivals ("Moscow Easter Festival", "Young Voices", “Glasom moim ko Gospodu vozzvakh” (“I called the Lord by my voice"), etc.). The main conductor of Municipal Chamber Choir "Nizhny Novgorod". Ivan is a teacher of Sivukhin Nizhny Novgorod Choral College, a senior lecturer of NNSC, associate professor of St. Petersburg State Institute of Culture. Since 2016, he is the art director and main conductor of All-Russian Choral Festival "Day of Slavic Writing" (Nizhny Novgorod). Since 2017, Ivan is the chairman of Nizhny Novgorod branch of All-Russian Choral Society and the art director of Christmas and Easter choral cathedrals of the Nizhny Novgorod region. He was awarded numerous diplomas, such as diplomas of the Minister of Culture of the Nizhny Novgorod region, the Republic of Mari El, the Volgograd region, the Udmurt Republic. In 2017 he was awarded the Honorary Diploma of the Governor of the Nizhny Novgorod region. 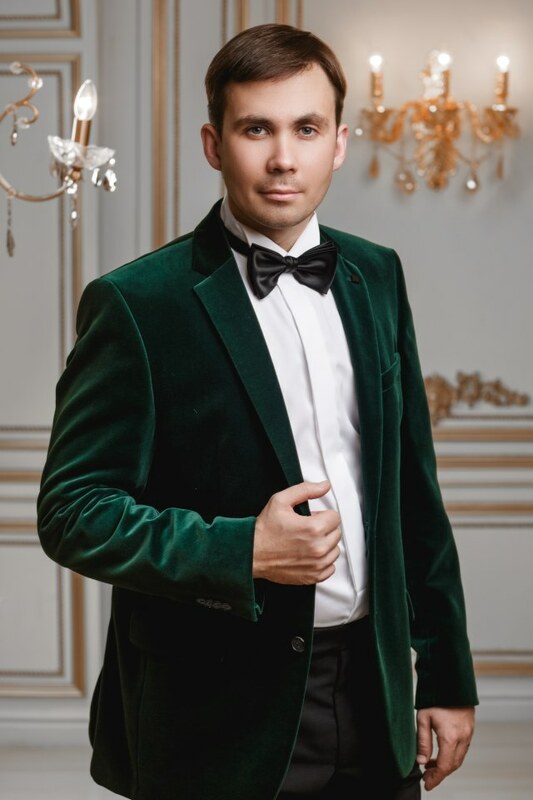 In 2017, together with the Chamber Choir "Nizhny Novgorod", Ivan was awarded the first 4 prizes, the Grand Prix and the title of "Best Conductor" of International competition “Poyuschiy mir” (”Singing World", St. Petersburg).